Beautiful historical village on the banks of the Aveyron. The atmosphere is very international, a lot of English, Dutch, German and Belgium people moved there. 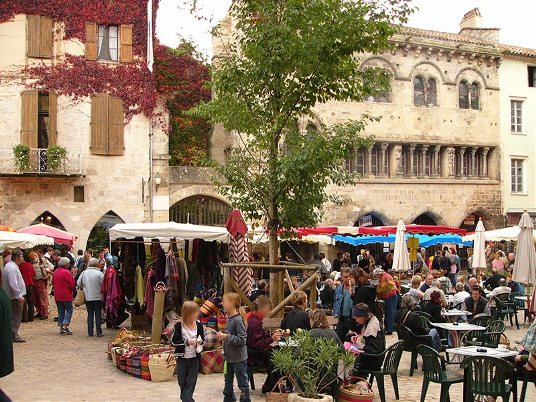 Nice restaurants and cafés and lots of interesting boutiques. There is a market every Sunday morning. Canoeing and kayaking on the river. From Najac go to Laguépie then make a right and follow the D 115. 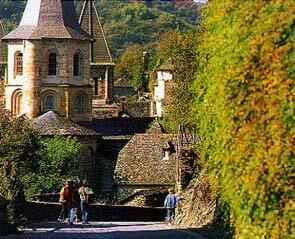 Following the D 601 N from Marcillac you will get to Conques. 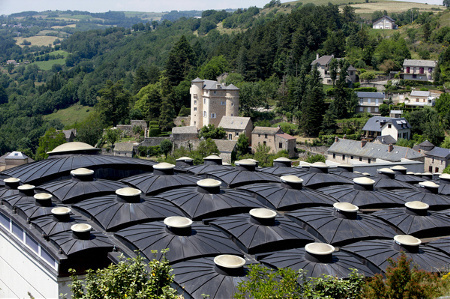 The village lies on the slope of the gorges of the Dourdou river. There are still priests living in the abbey and the village has a very authentic atmosphere. In the abbey you can see the relics of Sainte Foy and learn about the history of this martyr. The famous biologist (insect specialist) Jean-Henri Fabre was born in this little village. Today, there is a beautiful museum about insects called Micropolis. There are a lot of fun and pedagogical things to do for kids to learn about insects. 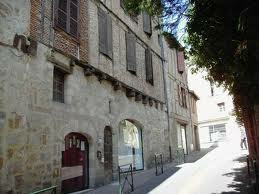 While you are in that area you can go visit Millau, a town along the Tarn river. The town's main economy used to be the leather industry and making high quality gloves. 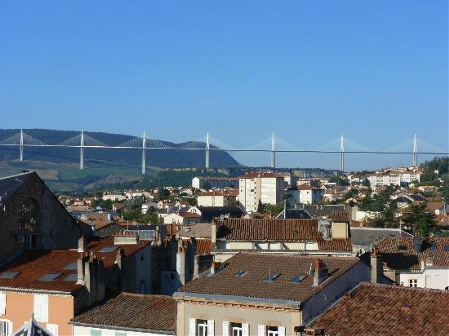 It is also famous for the viaduct (Viaduc de Millau) that goes over the valley. There is a market on Sunday mornings. The route to go there, over Pont de Salar, is beautiful. A nice little town along the Lot river. Champollion, the man that discovered the Rosetta Stone in Egypt, was born there. There is a nice museum about Ancient Egypt and Champollion.